Innocent Spouse Relief is a form of tax relief that can relieve you of your tax liabilities, interest and penalties as a result of filing a joint tax return with your current or ex-spouse. Filing your taxes jointly can provide many benefits - and sometimes it can create problems. When you are married and file a joint return together it means that both individuals are jointly and individually responsible for the taxes that are owed, even if one spouse made the majority or the entire amount of taxable income. If the IRS determines several years after the joint return was filed that there was a deficiency in tax, the IRS is authorized to go after each spouse individually. The normal process is that the IRS will send a notice of adjustment or another formal noticed to both spouses jointly at the last known address. When the IRS does this, it does not know that the spouses may be former spouses and are now living apart and preparing separate returns. Sometimes the spouse receiving this noticed feels they are innocent of the erroneous items the IRS is pointing out and somehow the IRS knows this. Typically, the spouse who caused the erroneous items makes themselves inaccessible for the collection process, therefore, the IRS goes after the "innocent spouse". This is where innocent spouse relief comes into play. The IRS created innocent spouse relief because situations do arise where it would be unfair to hold a spouse liable for the tax liability that was created. Innocent spouse tax relief is available from the IRS and some states. It can relieve you from taxes, penalties and interest that were acquired from a joint tax return that you filed with your spouse or ex-spouse. The IRS offers innocent parties a way to get out from under tax debt liability that is the result of mistakes or errors not made by another party on a joint tax return. Innocent spouse relief is a good option for people who are burdened with tax debt through the fault of their spouse. Under normal circumstances the IRS holds both spouses equally responsible for what is filed on a joint tax return which means that all taxes and penalties are the responsibility of both parties regardless of who made a mistake. However, if you were not aware of the mistake or your spouse knowingly committed tax fraud without your knowledge you can possibly be relieved of the debt through innocent spouse relief. In order to qualify you must meet a set of requirements determined by the IRS. There are three types of relief available under the innocent spouse rule that can be granted to spouses who filed a joint tax return together. If the qualifications for one are not met, it is possible to qualify for the others. These mechanisms can relieve you from being responsible for unpaid back taxes, penalties and interest incurred as a result of the joint tax return that was file. Below are the three innocent spouse relief mechanisms. Each mechanism has different specific requirements to meet in order to qualify for the type of relief. Classic type of relief available for an understatement of tax while filing a joint return. Click link for the detailed qualifications for "Classic" Innocent Spouse Relief. Relief is available for an understatement of tax as well as an underpayment of tax. This type of relief is used if someone does not qualify for the first two types of relief but it would be unfair to hold them liable for the tax amount owed. Click link for detailed qualifications for Equitable Relief Requirements. In July of 2011 the IRS announced that they would be gentler on innocent spouse relief filings and removed the 2 year time limit to file for this type of tax relief. Read more about this on the IRS release. This change makes this type of relief available to many more people than ever before. If you tried applying in the past and were denied because of this two year rule, you now may be eligible to receive innocent spouse relief. To determine quickly if you are likely to qualify for this type of relief use this online tool to answer a few basic questions about your situation. This site contains info to understand and receive innocent spouse relief. Getting this type of relief can be a difficult process; most people who successfully receive this type of relief do it through help of a professional. 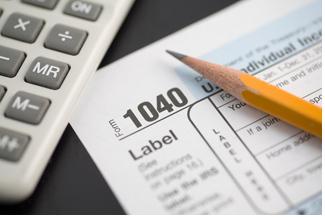 If you choose to get help with your filing we will connect you with the most experienced innocent spouse tax experts.